Below is a shopping catalog for our in house items. 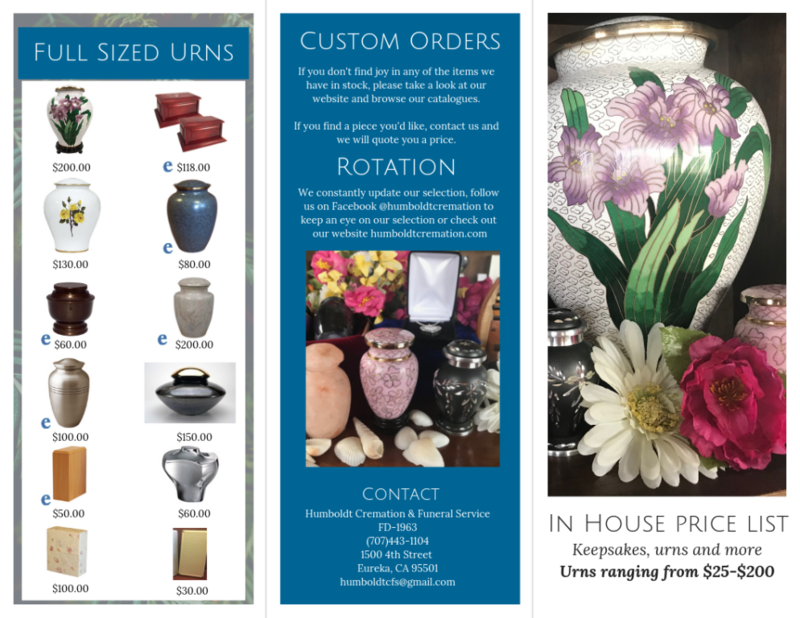 You are welcome to buy these items online or come in person to purchase an urn. We can take orders over the phone, online, or in person. We accept checks, cash and credit cards. If you have any questions about the availability of a product or the price of a product, please give us a call or send us an email. We are happy to assist you in your purchasing needs. 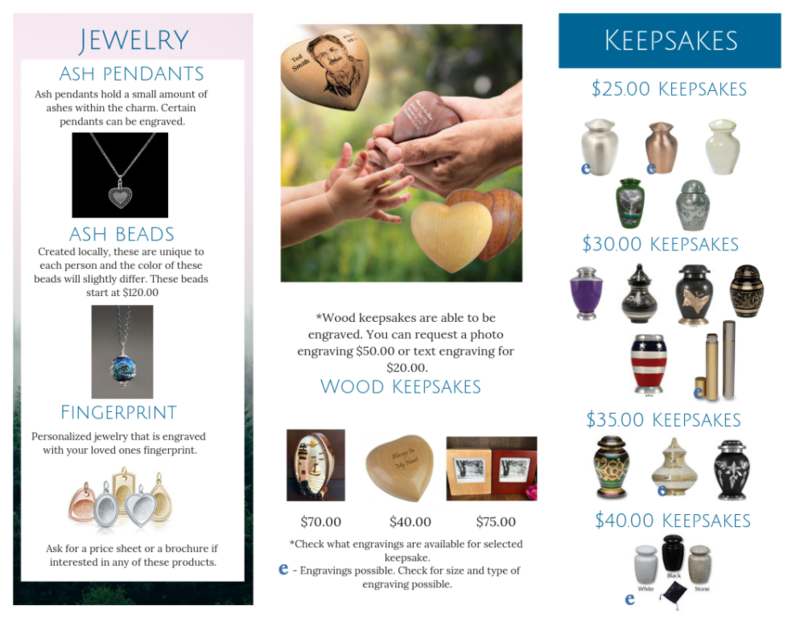 We also now offer an Urn and Keepsake payment option. Please contact us for more information regarding our payment plan options.